Some players join a club at just the right time, for others it doesn’t quite work out that way. Two years after Burnley lifted the League Championship for the first time we signed a centre-forward from <?xml:namespace prefix = st1 ns = "urn:schemas-microsoft-com:office:smarttags" />Chesterfield by the name of George Beel. We’d had a third place finish in the year after the title was won but were just finishing the next season in 15th place when Beel made his debut in the last match of the season against Birmingham. He was never afforded the opportunity to play in a successful Burnley side apart from one season where we climbed back up to 5th place but for the most part it was a Burnley team that struggled near the bottom of its league and also suffered one relegation. Despite all that Beel re-wrote the record books for goalscoring and those records still stand over seventy years later. Beel was born in Lincolnshire just after the start of the 20th Century and after an unsuccessful trial with Manchester United he signed for his local club Lincoln City. From there it was Merthyr Town and Chesterfield before joining the Clarets in April 1923 with John Fisher moving in the opposite direction. Manager John Haworth was looking for a replacement for Joe Anderson and Beel was just that, Anderson moving back to Scotland early in the 1923/24 season as Beel established himself in the first team alongside such as Bob Kelly and Benny Cross. Despite the generally poor form from the Clarets the new man settled in well with 19 league goals in his first season but three seasons later he was to pass the 20 mark for the first time. This proved to be a good season for Burnley and George Beel hit 24 league goals to help see us into 5th place, our first top half placing for five years. In the following season Burnley were almost relegated in what proved to be the tightest season ever. We avoided the drop by just the one point in a season where only four points separated 4th from 20th place. We had finished 19th but we would have been relegated long before the end of the season but for Beel’s goals. He hit 35 in just 39 appearances and that is a club record that stands to this day. The nearest anyone has come to it since was just a year later when he scored another 30 despite another 19th place finish. If just to show how his goals had kept us up for two years he hit only ten in the following season and Burnley were duly relegated to the 2nd Division and they weren’t to return to the top league until after the end of World War II. Down a league Beel was moved away from the centre forward position and was moved to inside right but he was back in the goals with another 25 in the league season. In February of the following year, just before his 32nd birthday he was transferred to Lincoln City and he was expected to end his career back home. That was not the case and he later moved to Rochdale before making one last moved to Tunbridge Wells Rangers as player/manager. Beel settled in Kent and lived there for the remainder of his life. He died in Maidstone on 30th December 1980. Burnley have had many great players and although never an international footballer George Beel can be included alongside the best Burnley players. 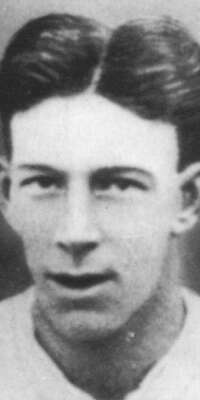 In just under nine years at Turf Moor he scored an astonishing 187 league and cup goals including eleven hat tricks and was the leading scorer in six of the nine seasons. And all that in a Burnley side that was long past its best.